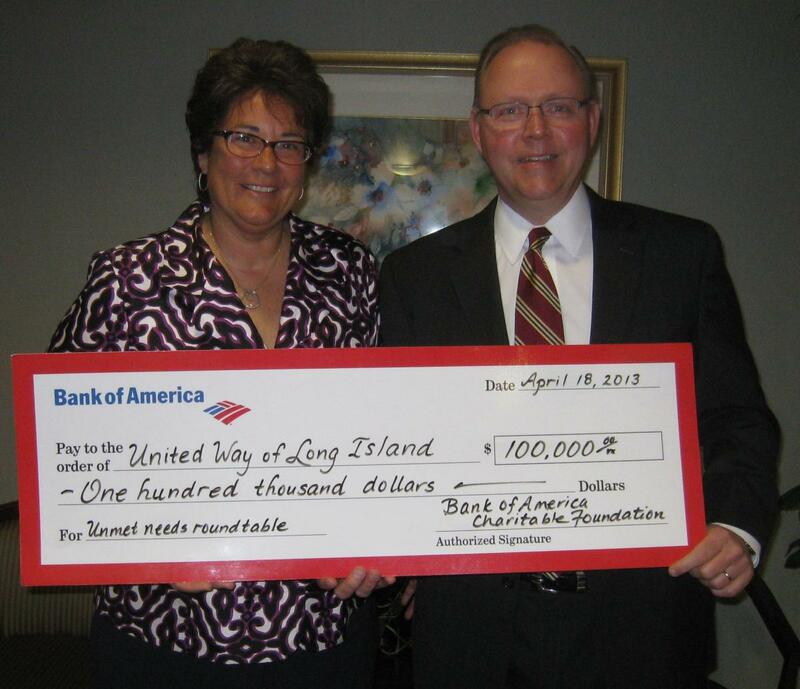 Deer Park, NY, May 9, 2013- Bank of America, known nationwide for its philanthropic support of charitable causes, and locally as one of the area’s most generous non-profit supporters has given United Way of Long Island a $100,000 grant to aid local victims of Hurricane Sandy. The aftermath of Hurricane Sandy compelled United Way of Long Island to form Operation Rebuild and Recovery, now underway. To learn more about Operation Rebuild and Recovery, please follow this link.